Life can’t just be lived. It has to be lived well, dramatically well. And to add that dash of drama, here is 1Q1. 1Q1 is a majestic art deco inspired kitchen and bar that serves authentic Asian cuisine and decadent cocktails. At 1Q1, the simple act of dining is elevated to a sensorial experience that begins the moment you walk in through the doors. It has 3 distinct spaces - an elegant fine dining area for relaxed sit-down meals, a high-energy space marked by a stage and an oval-shaped island bar, and lastly, alfresco dining by the robata grill in the tropical garden outside, where you see chefs grill to perfection a fine selection of meats and seafood. Each section is made distinct by the use of different lighting and soundscapes. The decor of 1Q1 is inspired by the art deco architecture of the iconic Express Building, in which it is located. Conceptualised and designed by the award-winning architectural firm Khosla & Associates, the interiors are realised as a contemporary interpretation of a bygone era. It features vaulted arches, ziggurat patterned frieze artworks and original deco cabinetry that are inspired from the roaring 20s, but feel right at home in 2017. The art deco inspiration also reflects in the visual identity of 1Q1, designed by SECOND: DESIGN + MEDIA. The identity is formed using shippo tsunagi, the repetitive Japanese art form that is inspired from art deco. Another deco element that can be found is the use of arches. At the heart of 1Q1 is the food - Asian cuisine with an emphasis on authenticity and quality. Like the decor, here too, tradition coexists harmoniously with the contemporary. 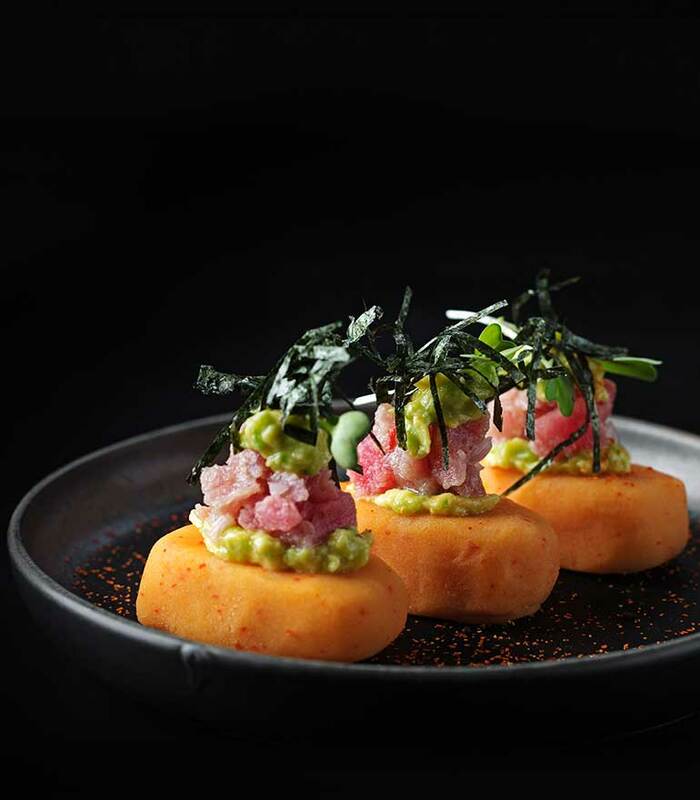 While delicious dimsums, sushi and the meats from the robata grill make up traditional fare, modernism is marked by Nikkei cuisine, which is a confluence of Peruvian and Japanese food culture. For a complete sensorial experience presentation of the food is as important as the taste. Every dish will be presented in a manner that elevates its experience, like the classic sushi will be presented traditionally, whereas the South American sushi will have a Latin personality. The kitchen is helmed by Chef Mako Ravindran who is a venerable master of Asian food. Under his expert guidance every dish, from small plates to main courses, is crafted authentically using the choicest of ingredients and freshest produce. All the action at 1Q1 is centered around the bar. It’s the pièce de résistance that radiates energy every night. 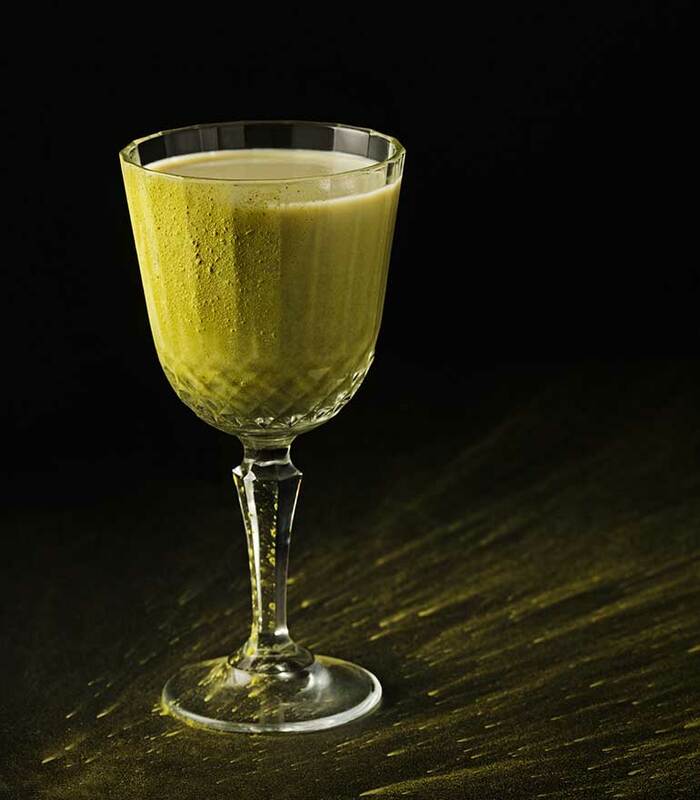 Here, skilled bartenders perform devilish sleight of hand to craft cocktails to please even the most demanding connoisseurs. Our cocktails have been created from scratch using influences and flavours from across Asia. The result is a smorgasbord of drinks in which the look, nose and taste work in harmony to stimulate all the senses. In line with the bar is a stage that lets 1Q1 double up as a live performance space that will host curated music acts from all over. Our teas and coffees, too, have been picked with a lot of care. We have organic coffee from single origin estates and blends specific to the beverage. All our drinks have been carefully selected keeping in mind the food it is to be served with and the type of cuisine we represent. These various elements within 1Q1 make for a heady cocktail of influences. 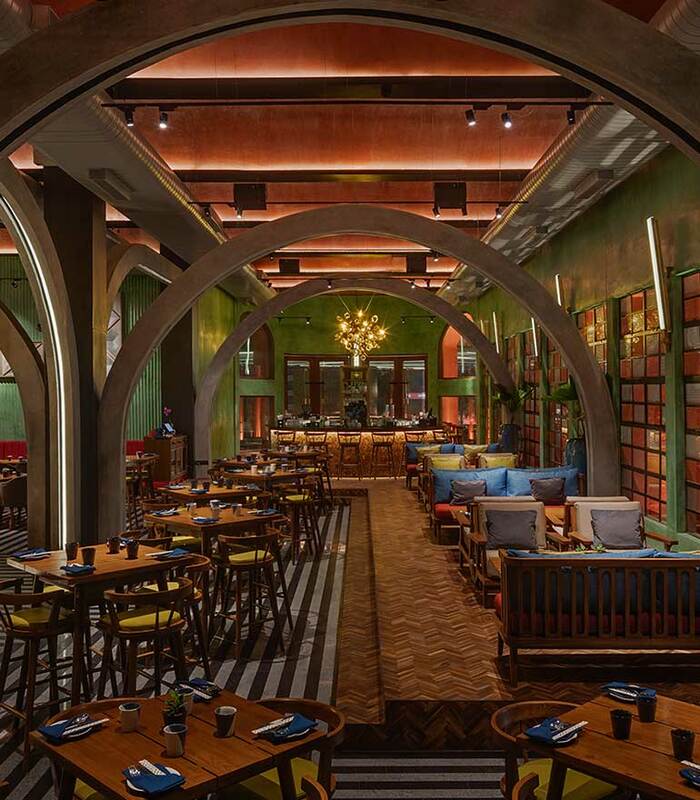 The deco-inspired interiors, Japanese and Peruvian influenced food, eclectic cocktails and live music spanning different genres creates a unique vibe. One that has the ability to transform from a fine-dining restaurant during the day to a potent, high-energy experience at night. Plate Project Hospitality is founded by Anirudh Kheny, Chetan Hegde and Vijay Sarathy, who share a common vision of creating exemplary hospitality experiences for the well-heeled and well travelled.